I can't believe it's already December! This year flew by so quickly! This is my favorite time of year because I absolutely love the holidays (and the snow). 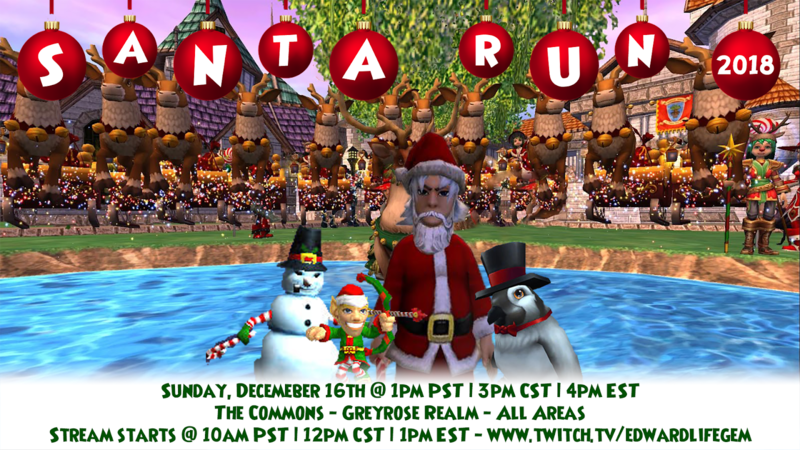 It's also almost time for the fourth annual Santa Run! You can see all the details below. Be sure to read all the way to the end for a chance to win a Winterbane Gauntlet and 10,000 crowns! Write down the path we run throughout the video. Send an email with the path to ATSWELContests@gmail.com. Please include your main wizard's name and the subject Video Guide Contest. Please DO NOT include any personal information. All entries must be in before 3pm CST on December 16th. Good luck, everyone and I hope to see you at the event! It will really be a lot of fun! Thank you so much for the prizes for winning this! Ya'll are awesome and I had a blast!